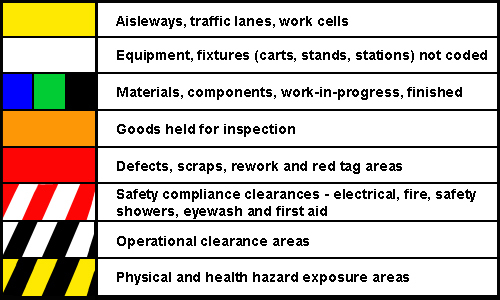 While there are no standard colors required by OSHA, aisles, forklift lanes and work cells must be clearly marked. 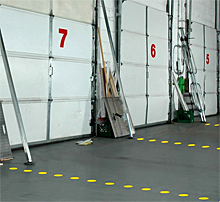 One of the quickest and most effective ways to mark these areas is with a durable, long lasting floor tape. The color suggested through 5S Lean standards is yellow. 5S Lean standards also suggest other color coding practices for consistency and clarity in meaning within a facility.